After a long and a busy day at university, I was hungry and strangely craving lamb. The craving was on my mind throughout my classes where I was scanning the internet for possible options I could visit and probably satisfy my cravings. The internet search was not very helpful and I decided to try out one of the options on Hardware Lane. Hardware Lane has some good options for food and that is where I came across Max Bar & Restaurant. For our entrée dish we ordered Grilled Prawns. 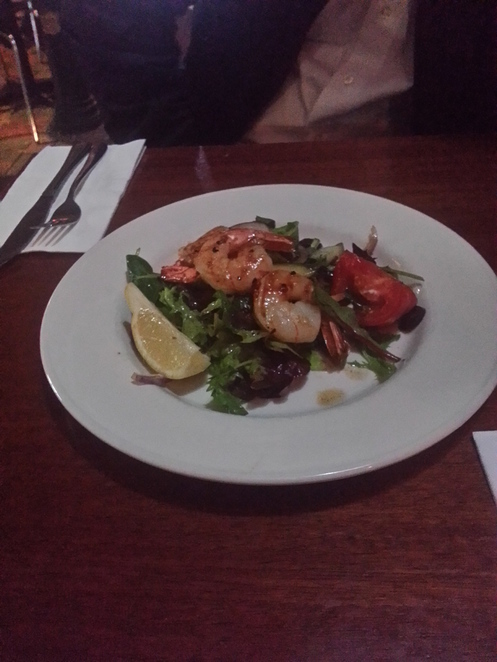 The prawns were grilled and served on salad with a Bloody Mary dressing. The dressing was one of the major reasons for ordering the entrée. 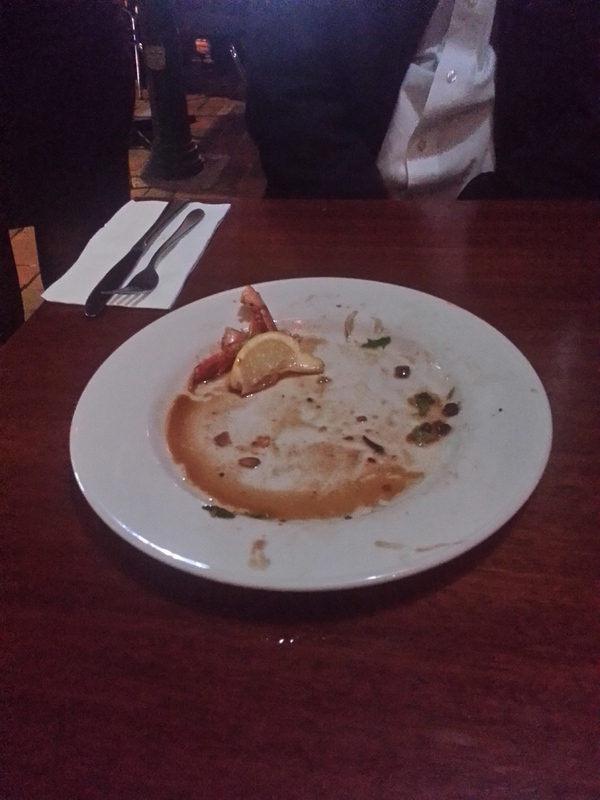 The portion was not a large serve and definitely cannot be shared by two people since there were just four prawns. However; once the lack of prawns is overlooked the salad and the dressing are the yummiest combination. A dash of lime to the salad and it is nirvana. Simply put, I ended up having the entrée for myself without sharing it. When the main arrived, I was stunned at the serving; it was enormous. Max probably serves the largest portion of Italian style lamb shanks. It is too much for one person, unless you have a huge appetite. The lamb shanks were served on a bed of garlic mash and veggies in yummy gravy. 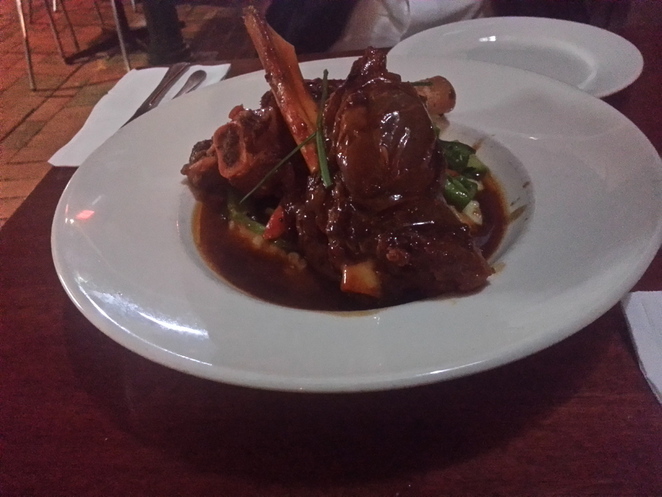 The lamb shanks were well cooked and the meat melted in your mouth. Lamb is comparatively a bit tricky to cook; but the chef cooked it perfectly and I can literally taste the dish every time I talk about it. I have never been a fan of broccoli but when I was busy enjoying my lamb; I realised I enjoyed broccoli when it was cooked well. I have no words to describe how delicious the garlic mash was. The different flavours of the mash, the gravy, the veggies and the lamb all came together perfectly in that one dish. I would definitely order it again. 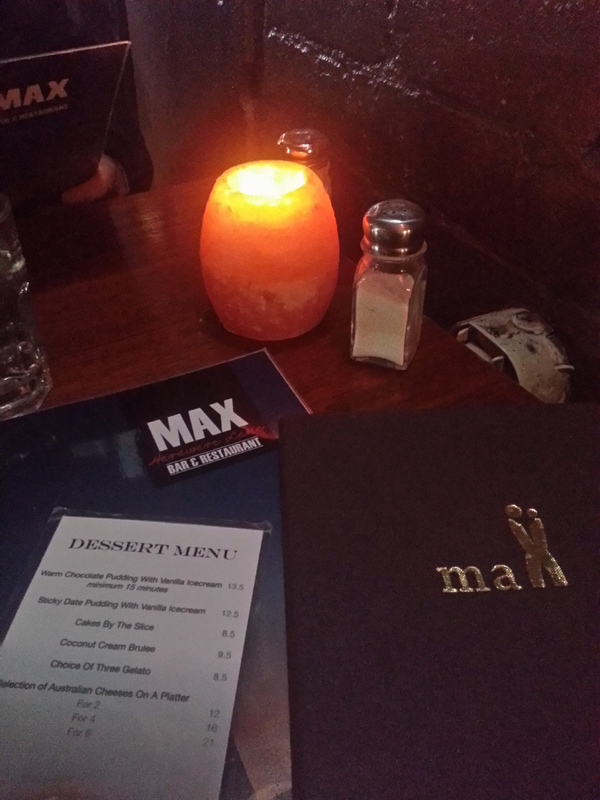 To sum it up, my experience of dining at Max was a pleasant one. Though we stuck to drinking water and were not eligible for the $35 two courses special we managed to have a good dinner for the price of $42.95 which considering the size of the main dish is well accounted for. I was contemplating ordering a second entrée as I never expected the main to be so filling. In the end, Max is a place worth visiting.